Your vehicle has many parts that need close attention when purchasing and replacing as needed. One of the most important parts is the car tires. Tires bear the entire weight of the car and are also instrumental in keeping the car moving. The roads pose different driving conditions to your car and thus the tires need to meet those conditions. 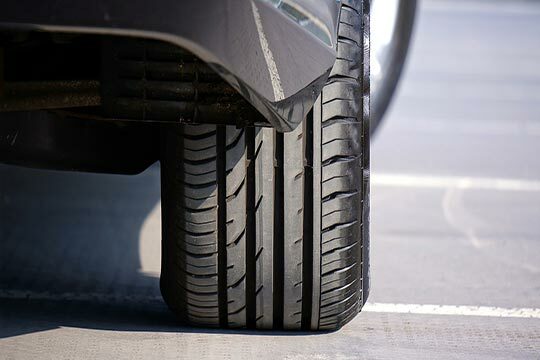 What do you need to consider when choosing tires for your car? It is very important to keep in mind the type of driving conditions that you will be facing when choosing tires for your car. Different conditions have different tire requirements and thus knowing the right tire for the different condition is significant. If you come from an area that snows in winter or too much rainfall, then you will need tires with softer rubber since they are designed to have a better grip on the slippery road. Winter tires, on the other hand, need to be tough and more rigid to be able to last long in the summer. To avoid having two sets of tires, the all-weather tires would be ideal for any of the weather conditions cited. For off-road driving, you will need to choose specially designed tires for that condition. Off-road tires are generally larger with a bigger and deeper tread than the other tires. The toughness is meant to withstand the tough conditions of off-road driving. Driving habits will also determine the best tires for your vehicle. If all you do is drive locally within good conditions, then any type of tire out there will suit your vehicle. However, if you take long drives outside the cities you will need quality tires offering smooth rides and able to withstand high speeds. Considering the speed rating of the tires will help you in making the best choice. For example, some tires are rated 75mph. These are good enough for local interstate driving. However, for top speeds, you better go for a v-rated tire which is safe for up to 150mph speeds. These tires are adequate for most kinds of speed requirements unless you can drive beyond the 150mph speed. Some tire treads have designs that produce much more noise than others. In most cases, the noise is less when driving at lower speeds in the cities. However, the noise tends to be a bother when driving at high speeds along highways. If your car is an SUV which you are driving along highways and pavements in most of the cases, you will need to consider less noisy tires.